Colour Genes:’aa EE gg CrC pp’. Bred by:: Eugassada J. Marce, Barcelona, Spain. 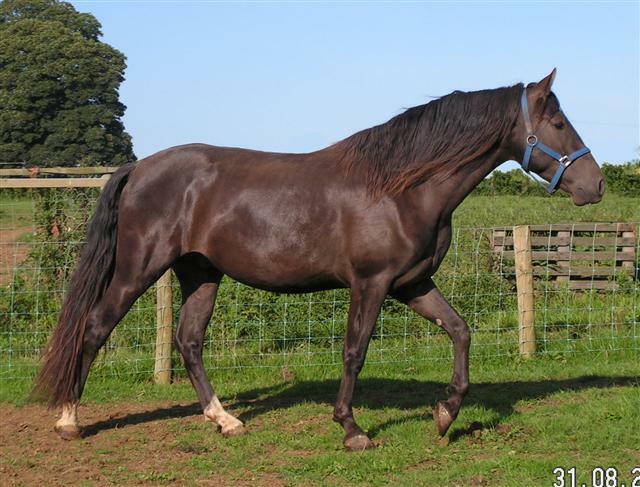 One of two Smokey-Black Apto stallion in the UK, Camino sires tall long-legged foals in glorious golden buckskin and rich chocolate smokey-black. Camino has very nice conformation and type with a particularly good front and neckset. His movement is straight, elevated, elastic and powerful. He has a calm, friendly and sweet natured temperament, which he passes on to his foals. Excellent fertility.